Place Your Dental Crown in Mount Pleasant with Implants! If you’ve lost one or multiple teeth, you’ve probably thought the chances of restoring your smile’s beauty and functionality is slim to none. That’s not true! You don’t have to struggle with difficulties eating or speaking—or continue being embarrassed each time you smile. 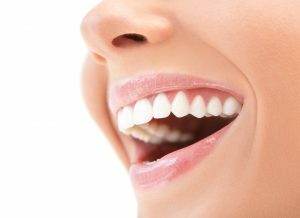 We can help create restorations that blend seamlessly into your smile and can be attached for years to come: dental crowns in Mount Pleasant. The office of Robert C. Sikes is here to restore purpose in your smile and bring your confidence to the next level by combining quality restorations and dental implants. Tooth replacement options used to only address the visible part of your tooth, totally ignoring the underlying root below the gum line. Today, we’re able to replace both the root and the crown of a dying or lost tooth, providing a great natural tooth alternative. Dental implants are small, titanium posts that mimic the root of your tooth, restoring the health of your jawbone. Titanium is a metal that is biocompatible. Your body adjusts easily to the metal easily with a process called osseointegration. By attaching a prosthetic (like a tooth-colored dental crown) to your implant, your dentist in Mount Pleasant can give your smile increased stability and longevity. Once you have met with one of our dentists and agreed that dental implants are the right choice for you, the first phase includes the surgical placement of your implant posts within the jawbone. This sounds intimidating, but our office understands the beauty of subspecialties in dentistry. Dr. Sikes will refer you to see a trusted oral surgeon or specialist that best fits your oral health needs. By referring you out of our office for the best surgical care, we are saying, “We want you to be in the best hands possible for this procedure. Your health and well-being are more important to us than losing out on income.” Dr. Sikes truly has your best interest in mind! Once your implants have been placed by one of our reliable, credible oral surgeons you will need to take time to heal. In no time your jawbone and gums will naturally fuse to your implant, mimicking the original lost tooth root. After your body has adjusted, you will return to our office and meet with Dr. Sikes to attach whichever dental restorations are right for you. What kind of prosthetics do dental implants support? Crowns and bridges—By attaching these restorations to implant posts, we’re able to provide the same high quality, natural looking replacement solution without damaging surrounding teeth. A single crown or two attached crowns can typically be supported by a single dental implant. Partial or full dentures—If you have more advanced tooth loss, your dentist may recommend attaching dentures to a few strategically placed implant posts. Regular dentures can slip or cause further jaw bone deterioration from being held by suction or adhesives, but with implants they will stay in place, eliminating those issues altogether. Whether you’re currently missing teeth or if you may have to have some teeth extracted, consider the different options Dr. Sikes provides. Our team can help with our variety of restorative dentistry options. Contact us today! We look forward to helping patients regain their confidence and full ability to speak and eat comfortably. Our caring, comprehensive office is in Mount Pleasant, but we are happy to serve patients in surrounding areas as well! Comments Off on Place Your Dental Crown in Mount Pleasant with Implants!